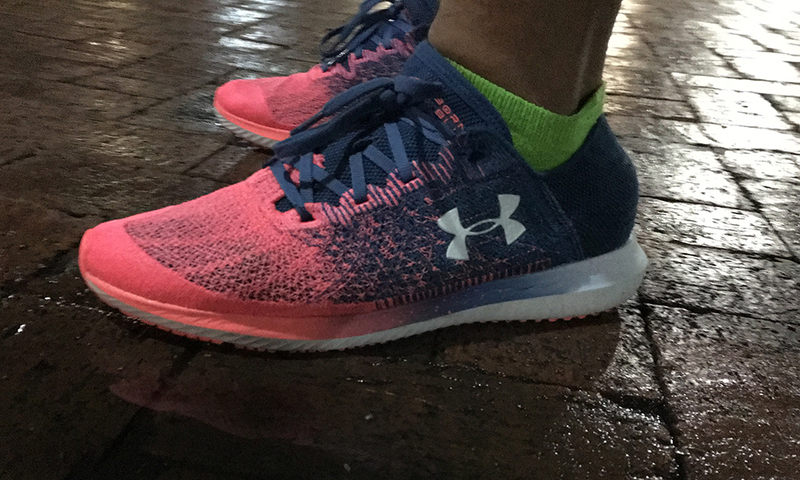 It started raining as soon as I got out the car for my first test run with the Under Armour (UA) Threadborne Blur. 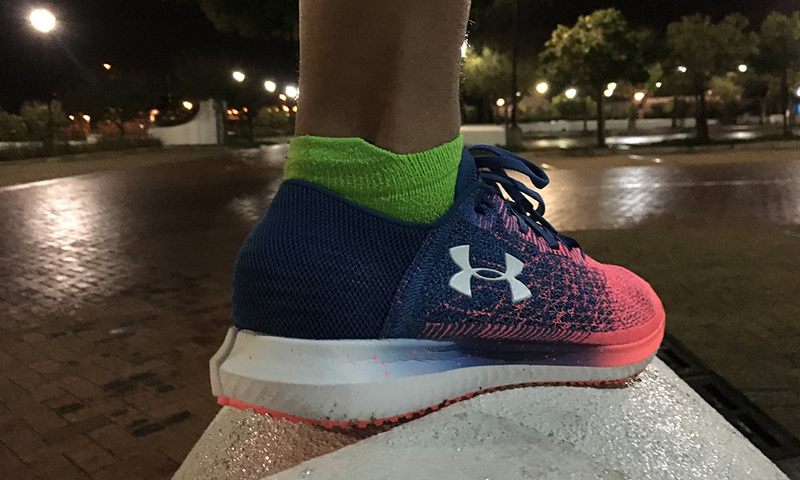 If you’ve read my previous reviews and social media musings about UA apparel you’ll already know that rain or, rather, rain-soaked pavement, is the achilles heel of UA running shoe outsoles. 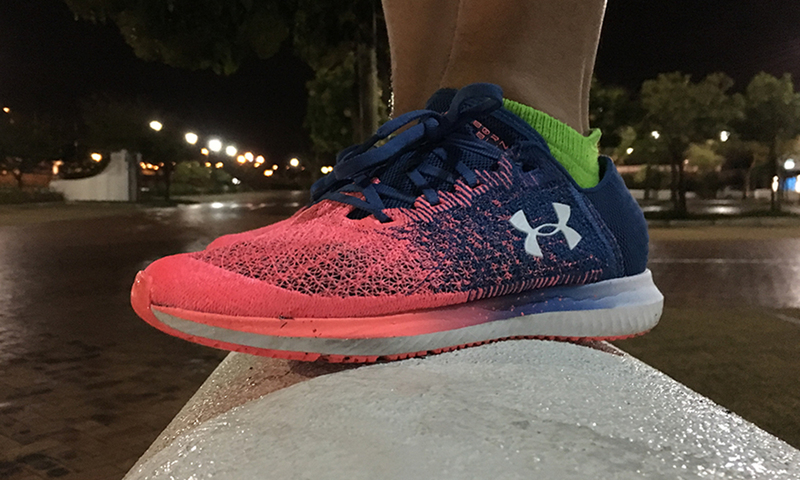 Two klicks in and I hadn’t yet noticed that I was running in Under Armour shoes, that’s how insignificant the outsole slip on the now water-covered tarmac was. While I’m not entirely convinced this traction is down to a change in rubber compound, but rather a change in tread pattern, it’s a massive improvement in to this specific flaw. But that’s not the story, the real excellence is in the cushioning. I’ve praised the energy return properties of the new HOVR technology deployed in the Phantom and Sonic running shoes, and bored you to tears in my glowing words about the Charged cushioning’s resilience on the Bandit 3. But the UA running shoe house is built on a foam called Micro-G foundation and this is its triumphant return. Threadborne Blur is a short- to middle-distance racing shoe and needs to be low-slung and light to help shave minutes off of your mile. Just so happens that Micro-G has enormous talent in the low-slung and super light department. A responsive ride (runner slang for “springiness” underfoot) that comes from a solid platform is what this shoe is all about. 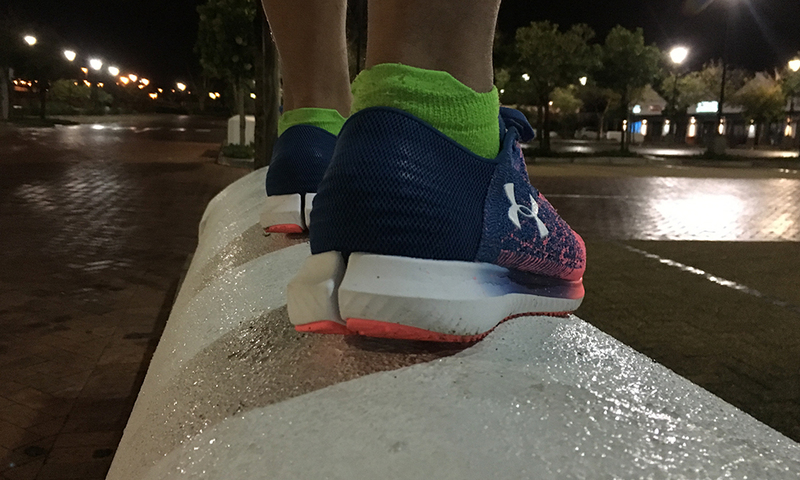 The Speedform inner also guarantees a secure and snug fit with little to no possible intrusions or abrasions that could cause blisters – this is really where UA leads the market, in that sock-like fit and zero break-in period. The colourway I got sent is a bit loud for my personal taste, but it comes in more subdued hues. These are perfect for a Park Run or for your next 5K or 10K PB. Lighter, more efficient runners may even look to these for a really swift half marathon. 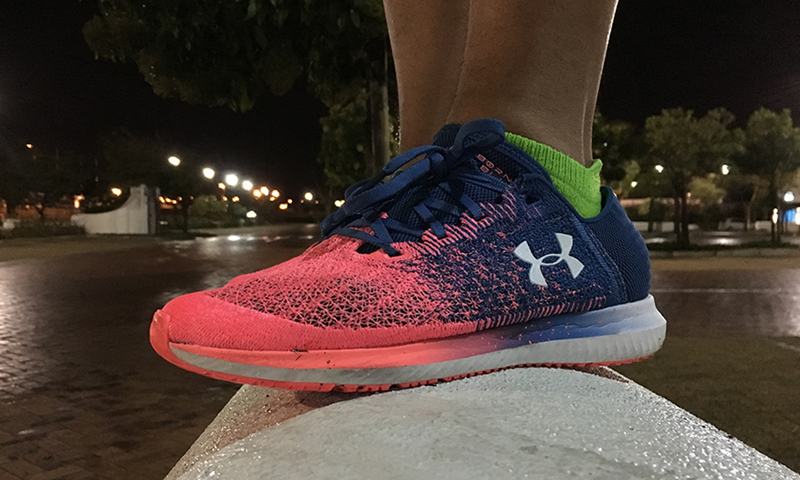 If you’re looking for a fast running shoe that can hang out in the gym or on a more social trot, R2 200 isn’t a bad price to spend on these excellent Under Armours.